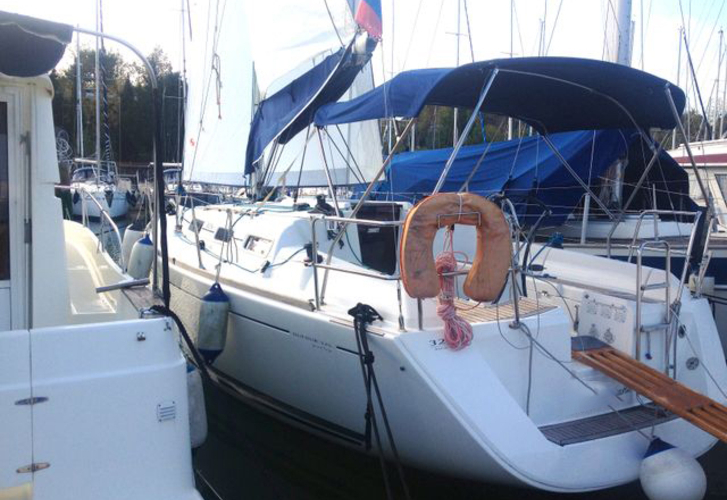 Boat Dufour 325 Grand Large called Rožmarinka has been built in 2007. 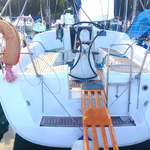 We offer her from base Portorož just a few kilometers from Primorska. Rožmarinka is certified for 4 persons. Layout of the vessel is 4 +2. 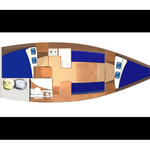 Dufour 325 Grand Large Rožmarinka is equipped with 2 bedrooms. For comfort of passengers there are 1 heads. 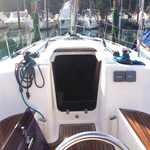 You can fill the tank for fuel with 90.00 l l. and in water tank it goes even 160.00 l l. With engine 19 hp Rožmarinka can sail really fast. Rožmarinka is 9.80 meters long and 3.40 meters wide. Depth is 1.55 meters. 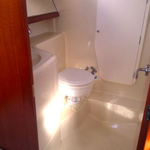 See our offer by going to this section: Yacht charter Portorož. 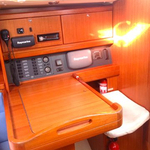 Yacht's equipment consists of : Heating, Mainsail with lazy jack, Bimini top, Teak cockpit, Dinghy, Autopilot. . Security deposit there is 1000.00 EUR. 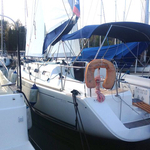 Choose our offer and have fun on the deck of Rožmarinka. 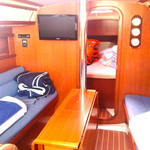 This Dufour 325 Grand Large from Portorož from Slovenia See by clicking on this link: Yacht charter Slovenia.